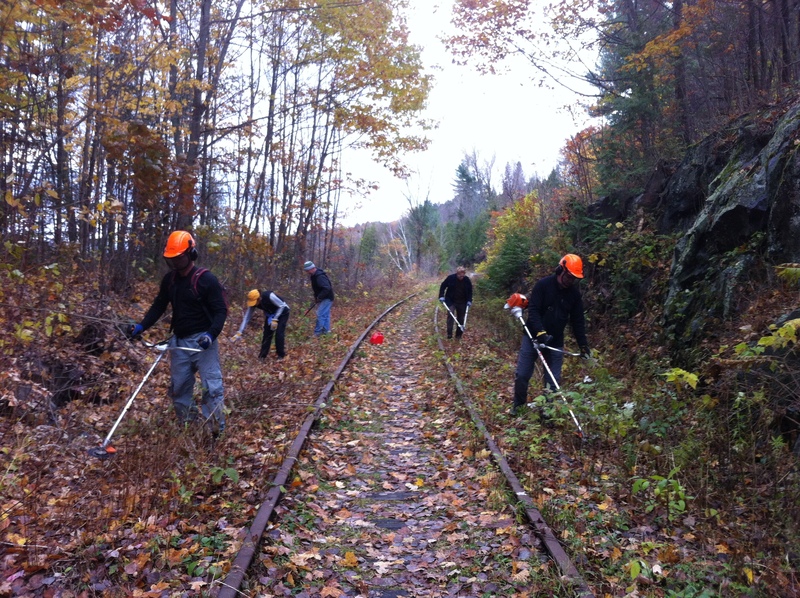 It’s the sound of volunteers clearing the trail with bushcutters to make ready for Rob Lafleur’s groomers – for yet another wonderful winter of beautiful skiing on the tracks. Bring your personal safety equipment, work gloves, safety glasses, and pruners if you have them. This entry was posted in Work Bees. Bookmark the permalink.